It's cherry season in Provence and that makes me very happy! 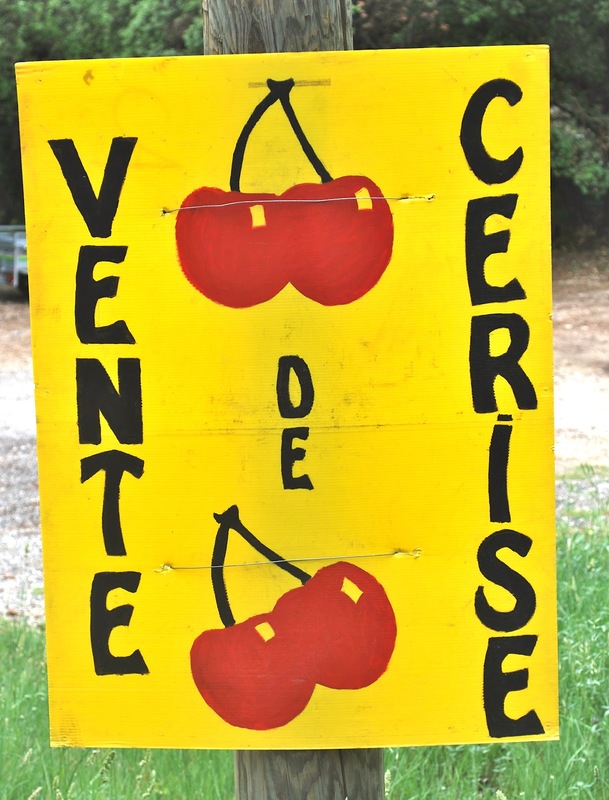 The markets are offering cerises at 10 euros for 2 kilos - but this price will drop as more are harvested. Roadside vendors set up stalls and sell to the passing motorists. But best of all, in the place I am staying now I am able to pick as many cherries as I like from this and other trees. And how special is that ? Pity you can not put a few in your pocket for your readers at home!! !